If your business has a physical address then you need to claim your Google My Business Account. 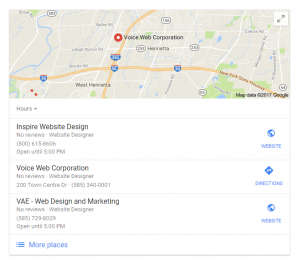 Google My Business (GMB) is a free service that allows you to manage how your business appears on Google Maps and Search from one place. Businesses that are verified (claimed) are twice as likely to be considered reputable when found on a search. Verifying your account and maintaining up to date information on your business can help your ranking in Google local search. 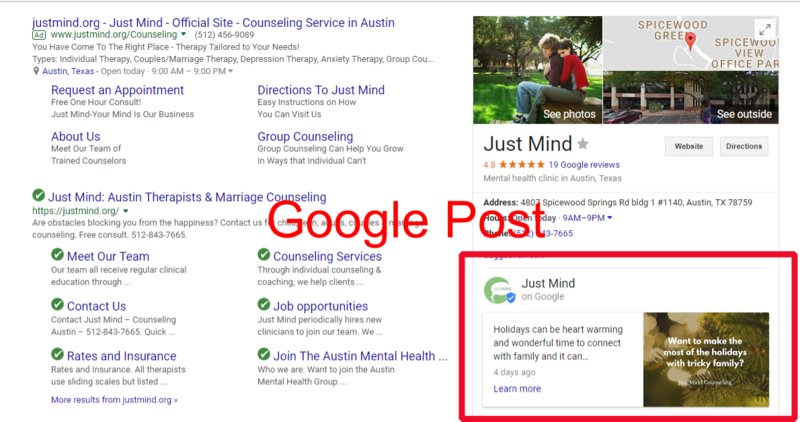 Google gives preferential treatment to those businesses that claim and maintain accounts giving you a better chance if showing up on their map 3 pack (see below). If you don't verify your business, Google will often piece together information about you business from other sources. When you verify it you have much more control over how your business is displayed on Google Maps and search. You can add pictures (businesses that add pictures to there account have 42% higher requests for driving directions and 35% more clicks to their website), customize hours of operation (display holiday hours, etc), and respond to reviews - this will show that you take customer feedback seriously. These are a great way for you to be able to promote special events, sales, or any current company news. When this feature is activated in your GMB dashboard, you will be able to answer questions quickly and professionally. If you have a Google analytics account for your website, it can be connected to your GMB dashboard and you can see your website data in the same place as where you manage your local search information. Log into your Google account if you have one or sign up for an account. Go to the google.com/business page and fill out your business name and information. If you don't serve customers at your address, check yes to "I deliver goods and services to my customers at their location" at the bottom and then click "Continue". In the top left hand corner of your screen, click "Mail" if your business information is correct and then click "Send Postcard". If your information is not correct, click "Verify Later", and follow these instructions. A physical postcard will be sent to the business address with your verification code. This may take a few weeks to come. Once you receive the code, open the google.com/business page again, log into your Google account, and click "Verify Now". You are now verified! You can now go into your dashboard and customize your information to optimize your local search web presence. If your business has a physical address it is essential that you claim and set up your GMB account. Because we know that business owners are busy people, we will set this up for you for a nominal fee.